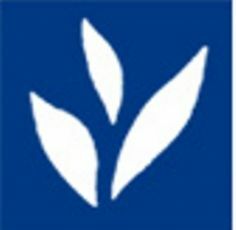 In 2011 IGIER launched an innovative initiative---the IGIER Visiting Students Initiative (VSI). What was the engine which generated this idea? "Students are the key asset of a university. IGIER, with its faculty members, aims to contribute to enhance this reservoir of talent. We believe”, says IGIER director Maristella Botticini, “that our mission, which is academic research, can be happily married to dedicating time and energy to our bright students”. 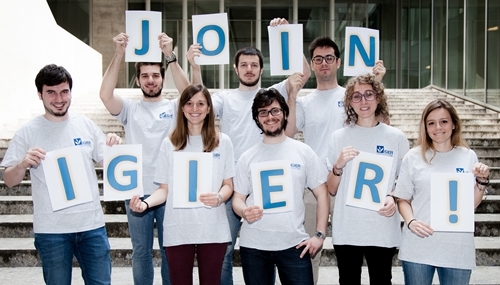 Since the beginning the IGIER VSI has been a major success among the MSc students in Economic and Social Sciences (as well as among the Bocconi faculty affiliated to IGIER) so it has been continued since then. Hence, every academic year IGIER invites MSc students in Economic and Social Sciences (DES/ESS), who are interested in pursuing a research career (e.g., in universities, ECB, IMF, OECD, World Bank, etc) to join the center. Students are expected to actively participate in the center’s activities (e.g., conferences, seminars, etc) and to present a paper in the reading group. Individual mentors chosen among the IGIER scholars will supervise students’ research activities. For a detailed description of this program, click here. The selection is based exclusively on merit. “Thanks to the IGIER Visiting Students initiative I continuously interacted with the decision and game theorists in the Department of Decision Sciences at Bocconi. In addition to strengthening and broadening my academic background, these professors have transmitted their passion and dedication for their research projects and this has in turn made me develop the same profound commitment to study economic theory” says Elia Sartori, who has graduated in the Economic and Social Sciences (ESS) track and is now a PhD student in Economics at Princeton University (where Giulia Brancaccio, a former IGIER Visiting Student, is also currently studying for her PhD). “The IGIER Visiting Students initiative has been one of the best experiences of my studies at Bocconi --- and the journey of learning here at Bocconi will greatly help me during the PhD program in Economics at Harvard University, which I began last year” adds Matteo Paradisi. Matteo's words resemble what Michele Fornino and Marco Tabellini, former IGIER Visiting Students and currently PhD students in Economics at MIT, wrote when they graduated from Bocconi. “The IGIER Visiting Students initiative has been a watershed in my educational path during which I gained an excellent preparation also thanks to the supervision of my IGIER mentors. The initiative asks a lot but also gives back a lot from both a professional and a personal point of view” highlights Umberto Sagliaschi (a DES graduate), who is now working at Quaestio Capital Management. The same think Paola Casetta, who is now a PhD student at Kellogg Northwestern University, Octavia Ghelfi, who has begun her PhD studies at New York University, and Nicola Rosaia, who is currently studying in the PhD program in Economics at Harvard. “Each of us, in our academic or professional career”, the IGIER director concludes, “has met teachers who have made the difference and who have given us a lot. The IGIER Visiting Students Initiative is our way to pass on today’s and tomorrow’s generations of Bocconi students the positive energy, the passion for studies, and the team spirit that we have received from those teachers whom we have had the good fortune to meet on our journey”.